How to process the payments via Credit/Debit Card (Worldpay)? Whenever we look up for a hosting provider, the first thing that strikes our mind is the mode of payment we can opt for. We tend to check if the payment gateway supports the currency, the country we're living in and the credit / debit card that we're using. However, with eUKhost, you've got nothing to worry about the payment options. We offer multiple payments solutions that include no hassle at all. Now, you can easily pay through your Credit / Debit card via Worldpay, a gateway that processes more than 8 billion transactions annually. We have recently introduced this new gateway to our customers who want to pay via Credit / Debit card. Worldpay started the electronic payment services in 1994. In 2002, the Royal Bank of Scotland bought this company. They renamed it as RBS Worldpay. In 2010, the Royal Bank of Scotland sold Worldpay to Advent International and Bain Capital and the company decided to revert to its old name - Worldpay. It operates in 146 countries and processes over 8 billion transactions per year. In 2014, Worldpay handled over 11.5 billion transactions. What are the benefits of processing the payments via Worldpay? 1. It accepts all major credit / debit cards. 2. It accepts payments in more than 116 currencies. 3. You can setup a recurring payment or process a one off payment. 4. All the transactions are processed securely keeping the PCI DSS compliance in line. How to process the payment? 2. Select Credit Debit card as the mode of payment >> Click on 'Pay Now'. 3. Select Payment Type: One Off Payment or Recurring Payment Agreement. 4. Enter the Card details and process the payment. Note: If you have setup a recurring payment, all the invoices will be automatically paid on the due date of the invoice. You can apply the Worldpay Agreement (recurring payment) to your other services as well. For instance: Adam has a shared hosting package and a VPS. He has setup a recurring payment for the shared plan via Credit / Debit card (Worldpay), he can apply the same recurring payment agreement to his VPS as well. You will find all the packages that are on recurring mode. You can apply or cancel the agreement for the packages by accessing this section. 1. Which cards does Worldpay accept? >> Worldpay accepts VISA, Master Card, Maestro, Amex, Discover, PayPal, China Union Pay and JCB. 2. My card has expired. 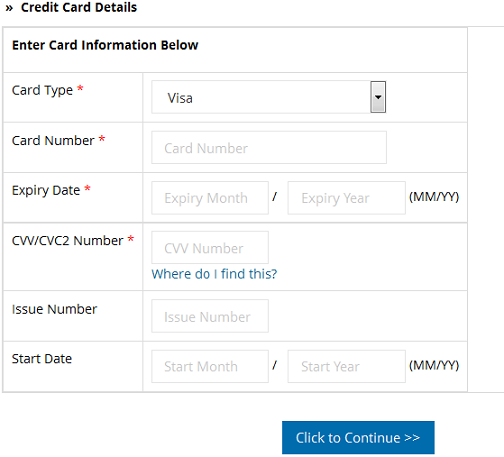 How do I update my new card details? i. Once logged in, you will find the Recurring payments Shopper Home Page. Under Futurepay agreement details, you need to click on the Agreement ID you want to change the payment details for. ii. Click on 'Change Payment Details'. You will have to enter the new card details and hit the 'Submit' button. iii. Once done, Worldpay will process all the payments using the updated card. If there are any invoices due at the time of updating new card, Worldpay will attempt the payment for it within 24 hours. Please Note: It is the customer’s responsibility to update the card details on record as and when required. You can update your card details at any time via the eUKhost Client Area. If you need to change your card details, please be advised agreements with Amex cards can only be changed to other Amex cards. To change an agreement from an Amex card to another, such as Visa or Maestro, your existing agreement needs to be cancelled. 3. My payment was declined? What should I do? >> There can be multiple reasons for the payment being declined. For instance, your card might be expired, there might be insufficient funds or the payment was not authorised by the card issuer. You will have to check with your Bank or the Credit / Card issuer. 4. How much time does it take to process a refund? 5. How do I cancel the Worldpay Agreement and stop the recurring payments? i. Once logged in, the Recurring Payments (Futurepay) Home page is displayed. ii. You will have to click the Agreement ID you wish to cancel. You will find it under the Agreement ID column. iii. Click on "Cancel button". Alternatively, you may contact eUKhost and raise a ticket to the Billing Department. We will cancel the Worldpay Agreement on your behalf. 6. I have cancelled the Worldpay Agreement. However, my details are still stored on the Worldpay dashboard. >>> Worldpay stores the details for a period of 3 years. This is done for audit purposes. You can rest assure that none of your details are accessible to anyone except you (through the Worldpay Shoppers Management). Should you have any queries or concerns, please contact the Billing Department via Phone, Ticket or Live Chat. Re: How to process the payments via Credit/Debit Card (Worldpay)? It is great that all the transactions in Worldpay are carried out using the PCI Compliance guidelines because a breach of the Compliance can be very tasking. So it is better to have all the monetary transactions made secured under PCI Compliance. All times are GMT. This page was generated at 06:50.